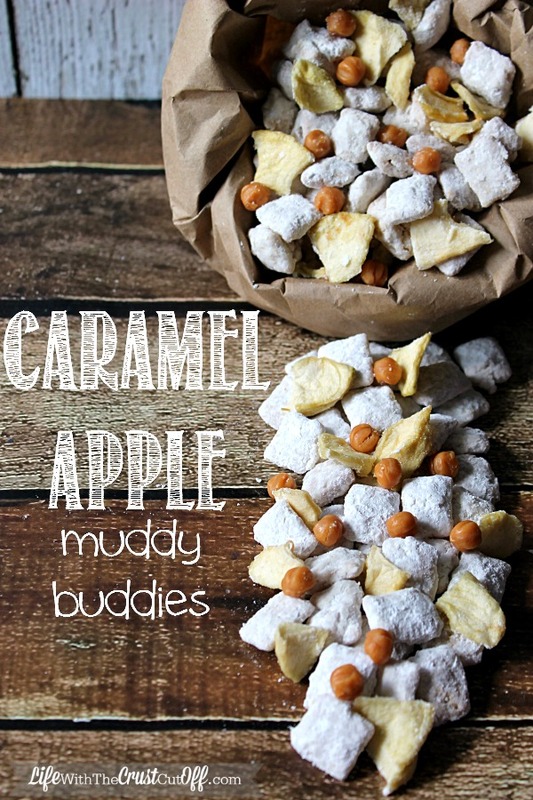 Looking for a fall spin on everyone’s favorite muddy buddies? These would be perfect for my kids to take to school for their break time:) Thanks for sharing! Wow, I’m pinning is. It looks amazing and I think if I bring it to a fall party, it would be a favorite. This sounds incredible!!! I’ll pin this for later this fall. I have a weakness for anything apple and carmel or with sugar. Found you on the Sits link up. yum! This looks so good. My girls and my students will just love this recipe! Thanks! Amazing! Love it, will totally have to make a ton! Thanks for sharing the recipe with us on Snickerdoodle Sunday! Wow! these look so pretty! It would almost be sad to eat them!! These look so good! I’m featuring you on Wonderful Wednesday blog hop this week on Sugar Aunts. Thanks for stopping by and linking up. Hope to see you again at the linky party! Oh my gosh, I would eat the whole batch before my kids even had a chance to grab a bite. I didn’t even know they made the caramel bites. Need to grab a bag next time I run to the store.